A class action lawsuit alleges that Microsoft inadvertently caused hundreds of people to lose data by compelling Windows users to update to Windows 10. The lawsuit’s class members had installed Windows 7 and older versions of Windows operating systems. Microsoft offered free upgrades to Windows 10 for owners of previous versions, but the claimants apparently took issue with the way that the company rolled out its new operating system. But the complaint alleges that the Windows 10 upgrade was much more aggressive. Defendant places ‘Windows’ icons on the consumer’s personal computer (PC) that lead to the offer of a ‘free’ Windows 10 installation. The first icon is placed in the lower right corner of the toolbar if the toolbar is positioned on the bottom of the monitor. If the popup (described below) is dismissed by the user by clicking on the “X” then Microsoft places a new and larger Windows icon on the left portion of the toolbar. …If the user clicks on the Windows icon a popup box appears on the monitor screen and the user is offered a ‘Free upgrade” to Windows 10. The only options that appear on this screen are to: “Upgrade Now” or “Upgrade Tonight”. The option boxes are shaded and appear to be the only option available to the user. These popups allegedly offered no option for refusal, so Windows 7 users might have reasonably assumed that they were mandatory. As we’re reading the complaint—and to be clear, we know data, but we’re not lawyers—it alleges that upgrading to Windows 10 put excessive strain on users’ hard drives, causing hard drive failure. There’s an element of truth to that, but it’s not unique to Windows 10. Writing any operating system can prompt a hard drive failure (note that we’re not using the term “cause”) by putting the hard drive under more stress than what it would otherwise encounter. Many modern operating systems are quite large. 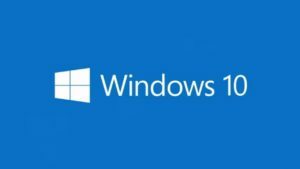 Windows 10, for instance, requires 16 gigabytes of space for a 32-bit operating system and 20 gigabytes of space for the 64-bit operating system. During the installation process, Windows has to write a lot of data, move files, and restart your computer several times. This is true of any modern operating system (with the exception of some simple Linux distributions). A hard drive is a mechanical device; it has moving components, which wear down over time. Ask it to complete a major task, and there’s a better chance of a failure, and operating system installation is certainly an arduous task. We’re not qualified to answer legal questions, provide legal advice, or validate any of the claims in a civil complaint, so to be clear, that’s not the purpose of this article. However, it’s not illogical to say that operating system installation can raise the chances of hard drive failure and data loss, and if a software manufacturer compelled users to install an operating system that didn’t really provide a functional upgrade, customers might not appreciate it. We will say this, however: Windows very clearly recommends a full backup before completing any updates or re-installations. Really, the customers who lost data during the Windows 10 upgrade could have avoided the damage by doing a quick backup, assuming that their drives weren’t already extremely damaged when they started. In any case, it’ll be interesting to see how this case shakes out. ← Why Are There Two Definitions for Data Loss?